Ten jobs as digital learning firm opens Sheffield office. Hallam graduate SamLydiat will lead the new Sheffield office. 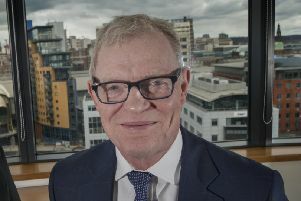 A digital workplace learning company is setting up in Sheffield - with plans to hire 10 - due to the city’s ‘innovative spirit’ and commitment to the sector. Plymouth-headquartered Sponge is opening an office in Sheffield Technology Parks and hiring learning designers, developers, digital designers, project managers and sales account managers. The firm uses e-learning, games, interactive video and virtual and augmented reality to teach in the workplace. The office will be led by Sam Lydiat, who studied software engineering at Sheffield Hallam University. Founded in 2004, Sponge is one of the largest independently-owned custom digital learning providers in Europe. Last year, the company opened offices in Bristol and Dublin, as well as expanding its London office and growing headcount at its Plymouth headquarters. Within the next three years, Sponge is planning further expansion in the UK and Europe, as well as the USA, in its bid to be a leading player in the global market.